Check out some important updates for agents: separation of Pro and Amateur players, refreshed Agents List (based on agent’s rating) new rules of Agent – Agent Messaging and a “Personal Assistant” for both agents and players. We have separated the Fieldoo platform on two types of players: Professionals and Amateurs. The professionals (marked with yellow badge “pro” in Players List) are those with current or past professional contracts, manually revised by our team. Agents can look for either Professionals or Amateurs in advanced search. Note, the separation of the platform is in its initial (beta) phase, and might improve over time. We have changed the messaging between agents (agencies, scouts, clubs) in order to provide the most efficient environment for the users. From now on the agent’s nationality has to fit with other agent’s region of activity to be able to send a message. Example: if an agent comes from Spain, he can contact those who have marked Spain as their region of activity. Note, if an agent follows other agent which doesn’t fit to his/her region of activity, he still can get messages from him/her. It’s extremely important for credibility and functionality of Fieldoo that agents listed on our Agents List are arranged based on their rating – better the rating, higher the position. The rating consists of agent’s profile completeness, response rate, activity, (verified) licence and a few more things which complete a “secret sauce” of the final rating. For an agent who wants to “climb” as high as possible on the list, he/she needs to fulfil the required criteria. 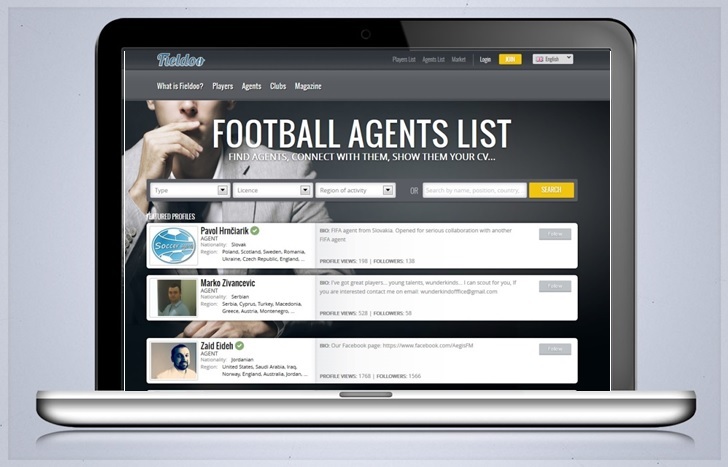 The Agents List now contains Featured Profiles as well (first two profiles on the top of the list), which are “reserved” for those using Fieldoo’s Professional or Agency Account. 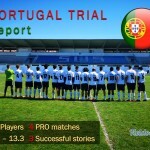 On the other hand, the latest added feature for both agents and football players is a Personal Assistant, who will help agents (basic version available for Professional package and advanced for Agency) enhance their performance and business: they will get even more customized, on-demand lists and first information (!) 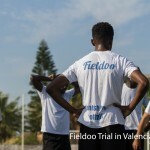 about the most suitable players for them, personal support and advice from experienced Fieldoo crew. Players (Personal Assistant is available in Premium Plus) will get extra help on how to to get the right agent, club, trial, and/or advice on how to improve their CV, promo video, or which trials are truly suitable for them etc. (more about player’s Premium Account here).